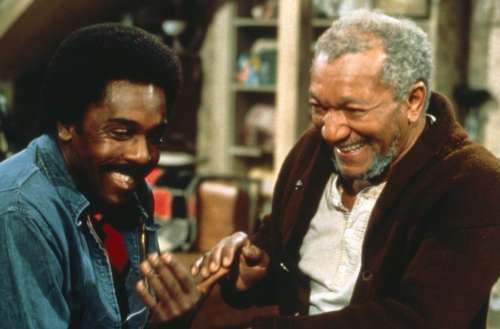 Back in 1973, Sanford and Son did something that a lot of subsequent sitcoms wouldn’t: a gay episode. If you came of age in the late ’80s and early ’90s, you had your pick of broadcast network sitcoms featuring black families: The Fresh Prince of Bel-Air, 227, Family Matters, Sister Sister, Amen and The Cosby Show, just to name a few. But if you happened to be a gay kid watching TV, you would’ve had to look elsewhere to see queer characters, because among the great number of issues these shows tackled, homosexuality was not one of them. Not even A Different World did an LGBT-themed episode, which is maybe surprising because it covered just about every other social issue. Perhaps because Sanford and Son was a Norman Lear creation and also NBC’s answer to All in the Family, it was a little more daring. 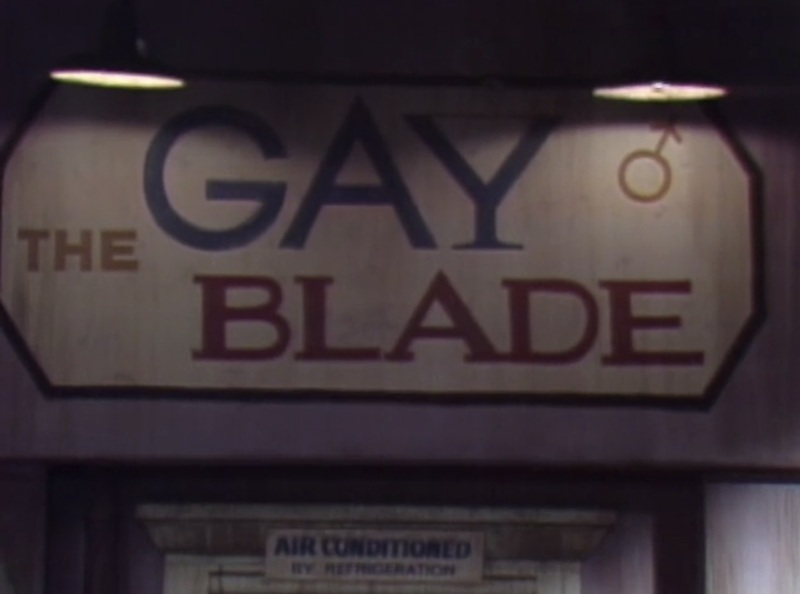 Shortly into its third season, the episode “Lamont, Is That You?” had both of its title characters worried the other might be secretly gay after friends see them separately entering a neighborhood watering hole called The Gay Blade. 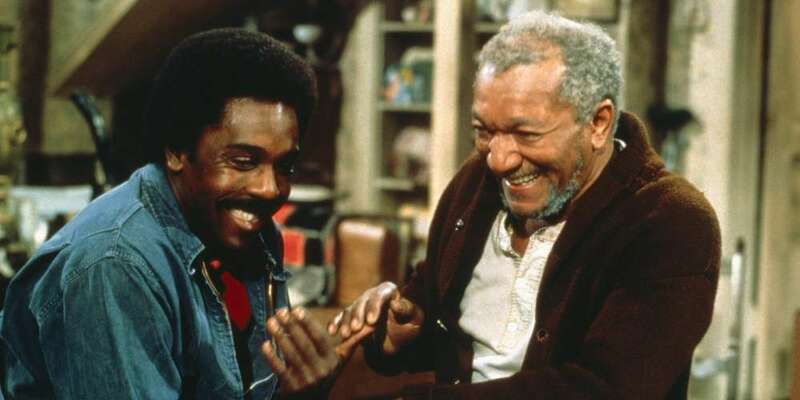 It’s a queer plot without any queer characters, but that classic sitcom confusion forces both Fred Sanford (Redd Foxx) and his son Lamont (Demond Wilson) to come to terms with the idea that the other might be hiding a pretty big secret. 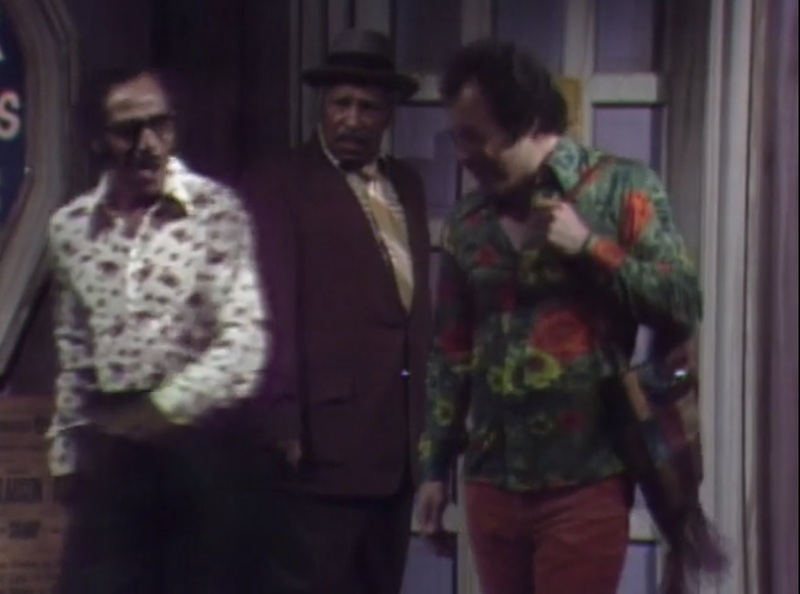 My podcast Gayest Episode Ever looks at the LGBT-focused installments of sitcoms, and since these didn’t really start happening until the 1971 All in the Family episode “Judging Books by Covers,” this Sanford and Son episode is one of the earliest we’ll talk about. In general, the older an episode is, the more likely it will show its age, but “Lamont, Is That You?” actually holds up fairly well. Its various straight characters regard homosexuality with a mix of discomfort and amusement, but ultimately everyone shows signs they could be OK around a gay person. By 1973 standards, that’s not nothing. If only other sitcoms could have follow the lead of Sanford and Son in this respect. That’s not to say that black sitcoms don’t touch on the subject at all. Gayest Episode Ever will be looking at how Living Single, The Jeffersons and Roc approached LGBT themes, but it really is too bad that we never saw 227’s Jackée or A Different World’s Whitley react to a real live gay person. But considering last week’s Blossom installment, which focused on an episode from 1994 that really didn’t stick its landing, it’s maybe more correct to say that it’s not just black sitcoms that could have learned a thing or two from Fred Sanford. 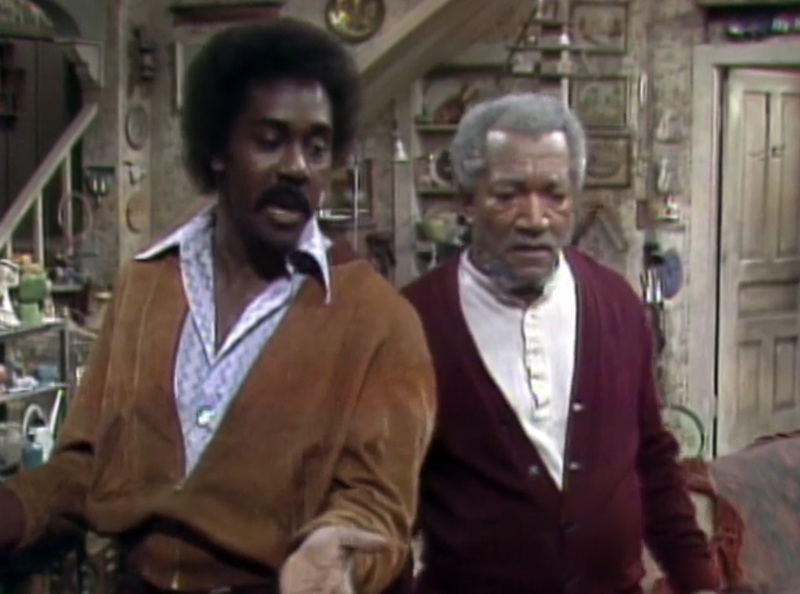 Have you seen this gay episode of Sanford and Son?